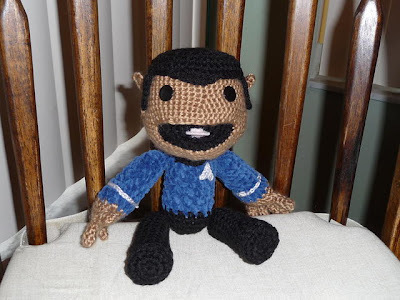 However, Maggie Wang over at her own personal/portfolio site has taken it upon herself to create her own incredible custom crochet ones. Thats right... regular Sackboy, Astroboy, Spock, Hellboy, Prince Of Persia and Kratos from God Of War Sackboys. Oh my. Visit her site at http://magyss.com/store/commissions.html to check out prices, etc.